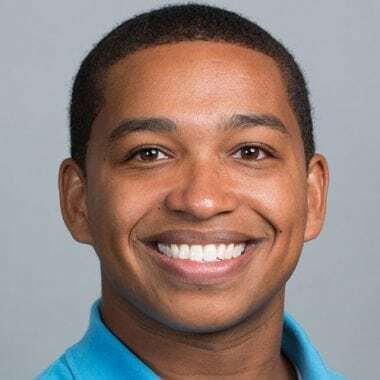 Born and raised in Chelsea, MA, Anthony Norman earned his Bachelor of Arts degree at Boston College and completed a year of research at Brigham and Women’s Hospital before pursuing medical school. These two ideas are most effective when they work together synergistically. Diversity – the culmination of various perspectives, talents, and experiences – is influenced by the unique composition of our race, ethnicity, gender, religion, socioeconomic status, and much more. However, we run the risk of turning diversity into checking off boxes. The inclusion piece is often understated – realizing that all of these perspectives are important and valued; that these individuals deserve a seat at the table. It’s not enough to say we have a diverse population according to our demographics. It’s about listening to each other and celebrating everything that person or culture has to offer. Tufts makes a point of building a diverse student body with individuals who want to tackle different issues. This creates new pathways in research and advocacy that may have otherwise been neglected. Since we work in a variety of communities with different demographics and levels of resources, we often have to create innovative solutions to ensure that everyone has access to great care. This also helps us to develop the critical thinking skills we’ll need as physicians. Tufts is also making a powerful impact in local communities by recruiting students that reflect the communities they serve, including those with foreign language experience. I’ve had the privilege of working in Lawrence, MA, a predominantly Spanish-speaking community, as part of the CAP (Competency-Based Apprenticeship in Primary Care) program. Communicating with patients in their own language makes them so much more comfortable and helps us break through cultural barriers that have historically been underappreciated. I instantly gravitated toward TUSM’s Ideas in Medicine program, which works with middle school students in my home community of Chelsea. It’s a phenomenal experience because it allows these kids to go beyond their textbooks and understand how science is applicable in their everyday lives through engaging scientific experiments. It also exposes them to what the various scientific disciplines have to offer. Part of the program includes a field trip to TUSM. It’s a really powerful experience for students because for many it’s the first time outside of their pediatrician’s office that they’re experiencing the field of healthcare. You can see this switch go off in their minds as they start to understand this is something they can strive to achieve because they understand the concepts and they’re seeing medical students who look like them, who talk like them. Furthermore, we spend the year establishing invaluable mentoring relationships and creating a safe space for students to learn and challenge themselves. Seeing these students become more confident in their abilities and enjoy the learning process has left quite a lasting impression on me.